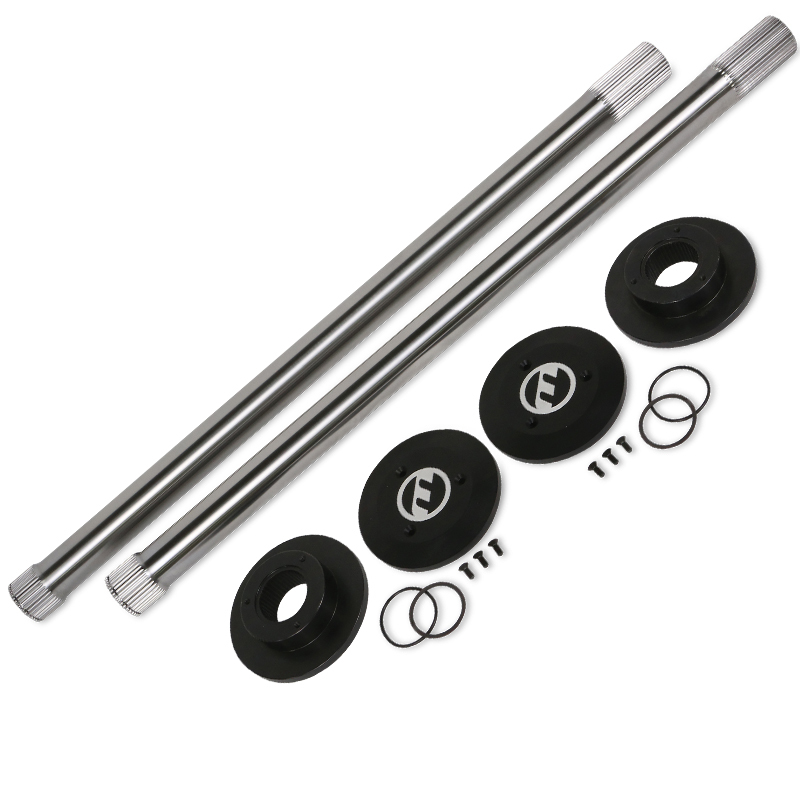 Developed for Transfer Truck pulling classes we start with 4340 Thru Hardened Bar Stock for the axles and utilize a standard 40 spline outer that mates to our chrome moly drive flange for confidence in handling you power and weight loads. We also offer optional Hub kits that utilize Chrome-Moly drive flanges and aluminum caps in standard and over-sized safety caps for added safety required in some classes and the kits come with all the hardware for the conversion. You can buy the axles here or the complete hub kit PT4210 packages by selecting the desired hub kit. Developed for Transfer Truck pulling classes we start with 4340 Thru Hardened Bar Stock for the axles and utilize a standard 40 spline outer that mates to our chrome moly drive flange for confidence in handling you power and weight loads. We also offer optional Hub kits that utilize Chrome-Moly drive flanges and aluminum caps in standard and oversized safety caps for added safety required in some classes and the kits come with all the hardware for the conversion. You can buy the axles here or if you need the complete hub kit see the PT4210 packages for more information. Axles are 4340 Thru Hardened Alloy. 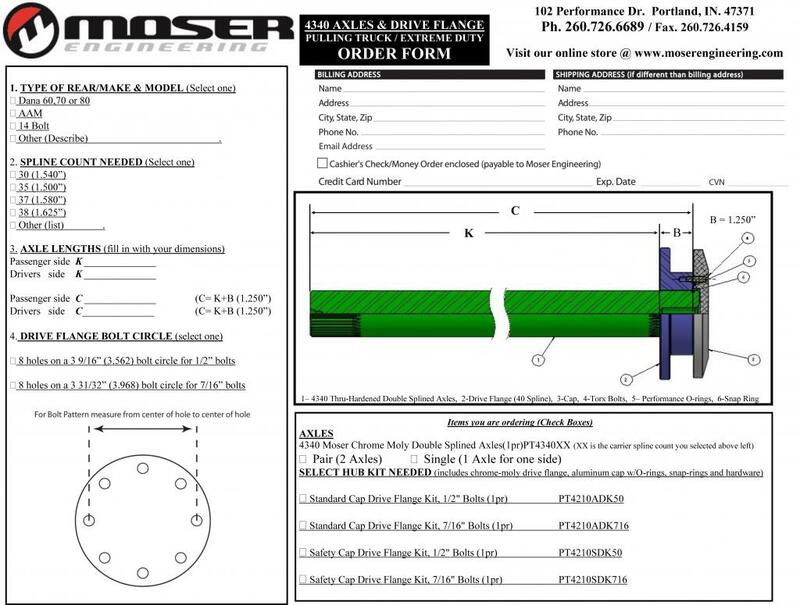 Hub kits utilize Chrome-Moly drive flanges. End Caps are aluminum and available in standard size or over-sized safety caps. All kits come with the hardware for the conversion.